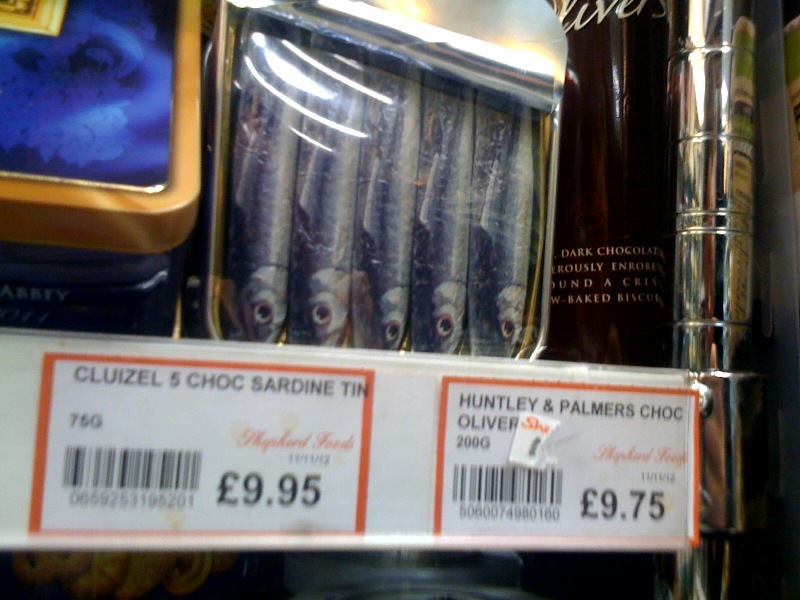 Five chocolate sardines on sale in Shepherd’s Food. For the bargain price of £9.95. 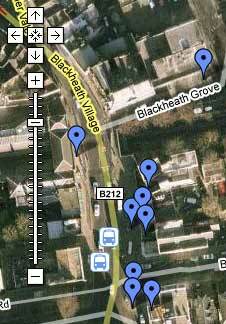 At 4.30pm today the Blackheath Lights will be switched on. Nick Ferrari, the quietly-spoken socialist will be doing the honours. Shops are staying open later, The Samaritans are carol singing, and the Salvation Army will be playing from 3pm. Before and after image from the lights switch-on back in 2008, when I had more time to write this blog (apologies for the lack of updates lately- work is busy).